We're at it again! This time, we've unearthed the screenplay to what was to be GEORGE (MAD MAX: FURY ROAD) MILLER'S take on JUSTICE LEAGUE OF AMERICA! The gang's all here! 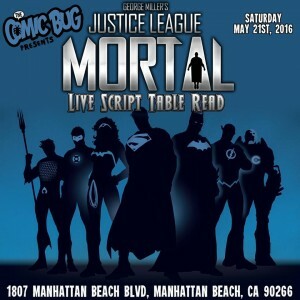 Superman, Batman, Wonder Woman, Aquaman, Martian Manhunter, The Flash, Cyborg and Maxwell Lord! 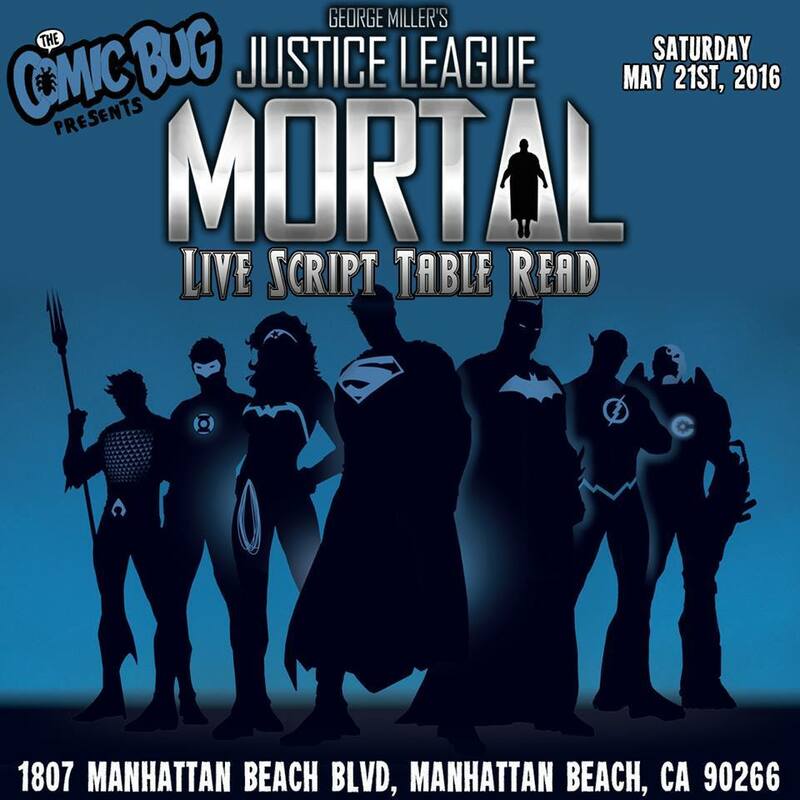 Production on JUSTICE LEAGUE MORTAL was halted due to the writer's strike in 2008, but the screenplay received very high marks from those who've read it! Come to THE COMIC BUG MANHATTAN BEACH on Saturday, May 21 from 7:00 to 10:00 p.m. to see and hear the screenplay brought to life by an amazing cast of actors including CASPER VAN DIEN, JENNIFER WENGER, ADAM MARCUS, DEBRA SULLIVAN, CURTIS FORTIER, RAFAEL NAVARRO, SCOTT KOBLISH and some big suprises to be announced soon! And it's FREE for everyone! If you plan on attending, please RSVP here so we can plan for seating!